An offshoot of the historic Cause4Concern imprint, which celebrated its twentieth year at the end of 2018, C4C Limited has been making its own space within the world of dance music. Becoming just as recognisable as its forerunner, the imprint has delivered seriously technically proficient bodies of work; this time they’ve asked San Francisco based KarmasynK, with his finely polished production and creative sound design, to take centre stage for their next release. With every output he has ensured he’s explored the unlimited scope of electronic music, meaning that his forthcoming EP on C4C is just as intricate. After debuting his first release on Swamp Music in 2014, he’s risen amongst the ranks to deliver a selection of tracks which exemplify why he’s becoming such a sought-after name in DJ sets. ‘Willing to Sacrifice’ is the title-track and despite its stripped back disposition, it slams into play with the complexity of its synthesizing. ‘Freak it’ follows the same lead, with slamming, hollowed drum patterns. ‘Into the Abyss’ nods to its name by submerging you under its tidal weight. Then you’re led into ‘Contemporary’, just as cutting in its precise segmenting, which isn’t overbearing and keeps your attention from beginning to end. Lastly, ‘Inexplicable’ rolls out next, with a chaotic sequencing and crushing distortion that demonstrates the harder edges of KarmasynK. Throughout the EP you’re drawn into the array of forms that his production takes, with each one proving how versatile KarmasynK is as an artist. 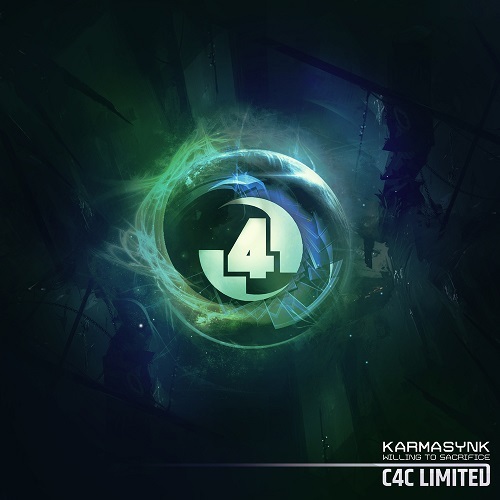 C4C have a keen eye for talent, something which can be seen by their support for KarmasynK and the fact that they’ve brought the artist onto their stage to offer his brand of complex, sweeping soundscapes. KarmasynK is an electronic music project by twenty five year old San Francisco based producer Ruturaj Wankhede. With his polished production and creative sound design, KarmasynK seeks to explore the unlimited scope of electronic music to bring about transcendental experiences for the listeners. Psymatiks, the debut release by KarmasynK was released on Swamp Music in January 2014. Since then, KarmasynK has released music on various compliations and has been featured on internationally respected labels like Shanti Planti, Street Ritual, Glitch Hop Community. KarmasynK is also an active DJ and has performed in Asia, Europe and North America. He has been working with the Cybergroove’s booking agency, and has played at popular music festivals like Mo:Dem Festival in Croatia, Lucidity Gathering and Serenity Gathering in Southern California and NH7 Weekender in India.